Ralph Engelstad Arena is seeking an experienced Concessions Manager for the Ralph Engelstad Arena complex in Grand Forks, North Dakota. 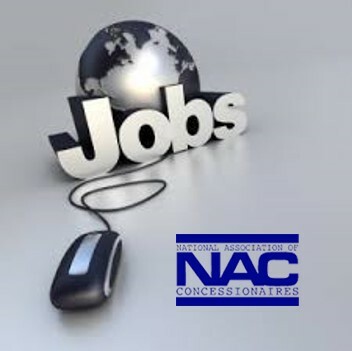 The Concessions Manager will be the senior-most person in the concessions department and will be responsible for all in-house concessions operations and will manage one full-time employee, as well as part-time employees, non-profit groups and service organizations as part of the service staff. Ralph Engelstad Arena is the home of the reigning NCAA Men’s Hockey National Champions and is widely considered to be one of the nicest sports and entertainment arenas in the world. The Ralph Engelstad Arena complex is located on the campus of the University of North Dakota and includes an 11,634 seat main arena, 3,200 seat basketball and volleyball facility, and community rink. Please send resume and cover letter to: Ralph Engelstad Arena, Attn: Human Resources, One Ralph Engelstad Arena Drive, Grand Forks, ND 58203, Fax to 701.777.6643 or e-mail stacys@theralph.com. Review of applicants will begin on June 13, 2016.